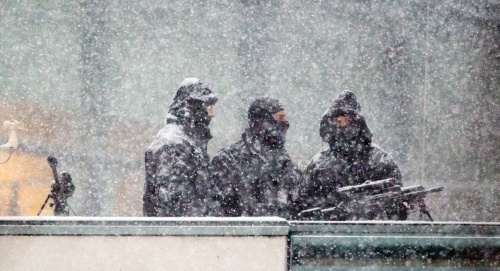 In pictures: Police officers secure the chancellory in Berlin, Germany, 06 December 2012. German Chancellor Merkel meets Israeli Prime Minister Netanyahu for talks on that same day. Police officers secure the chancellory in Berlin, Germany, 06 December 2012. German Chancellor Merkel meets Israeli Prime Minister Netanyahu for talks on that same day.